The DC Coalition of Disability Service Providers congratulates Community Residences, Inc. on its 40th anniversary celebration on March 9th. CR has grown into a vibrant provider supporting over 1,000 persons annually with intellectual disabilities and mental health issues. 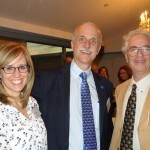 Pictured here are Community Residences President/CEO, Arthur Ginsberg and his wife along with Community Residences, Board Member Michael Nathan, MD. 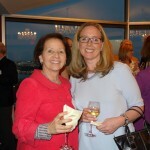 Beth Jarrett, NCC and Michelle Gentry, Consultant enjoy the celebration (below right). 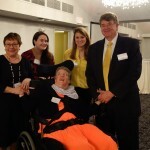 Jack Bruggeman – Community Residences Board Member – and members of his family. (below left) His sister resides in a CR home. Congratulations Community Residences on this wonderful milestone.